Enjoy our Key Lime Margarita Pie, but don't worry about alcohol! 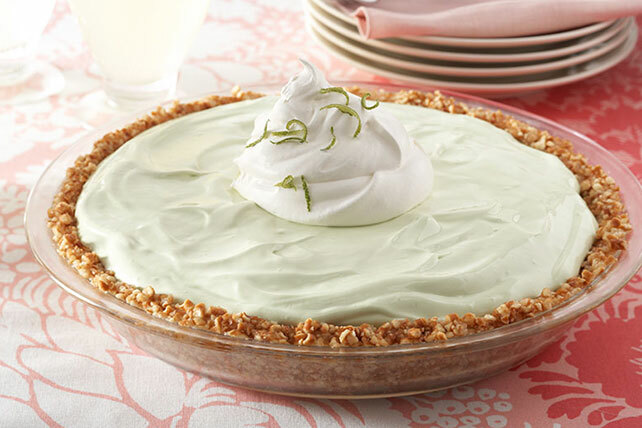 This Key Lime Margarita Pie's taste is from a salty pretzel crust and citrusy filling. Balance your food choices throughout the day so you can enjoy a serving of this sweet summer treat. For easier serving, dip pie plate in warm water, just to rim, for 30 sec. before removing pie slices. For stronger lime flavor, stir in 2 Tbsp. lime zest along with the lime juice. Garnish with lime zest before serving.